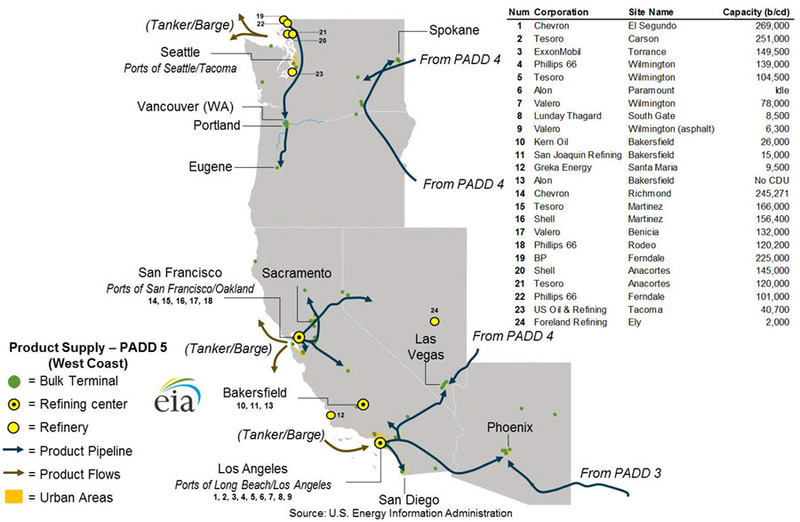 This study examines supply, demand, and distribution of transportation fuels in Petroleum Administration for Defense District (PADD) 5, a region that includes the western states of California, Arizona, Nevada, Oregon, Washington, Alaska, and Hawaii. For this study, transportation fuels include gasoline, diesel fuel, and jet fuel. It is the first in a series of studies that the Energy Information Administration plans to conduct to inform its analyses of petroleum product markets, especially during periods of supply disruption and market change. The study examines transportation fuels supply, demand, and distribution at both the PADD level and for specific areas within the PADD, which are referred to as sub-PADD regions in this analysis. 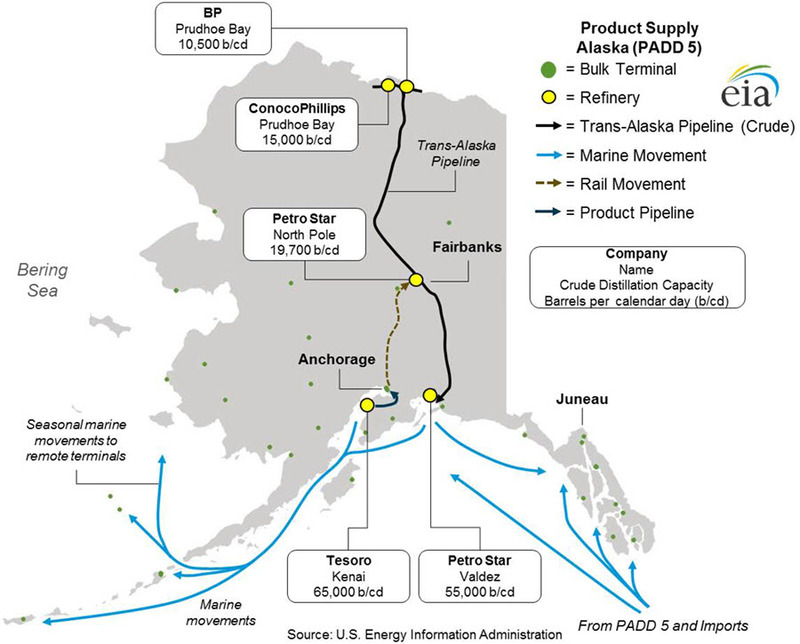 PADD 5 covers a large and diverse geography and supply/demand balances and supply patterns vary within the region. 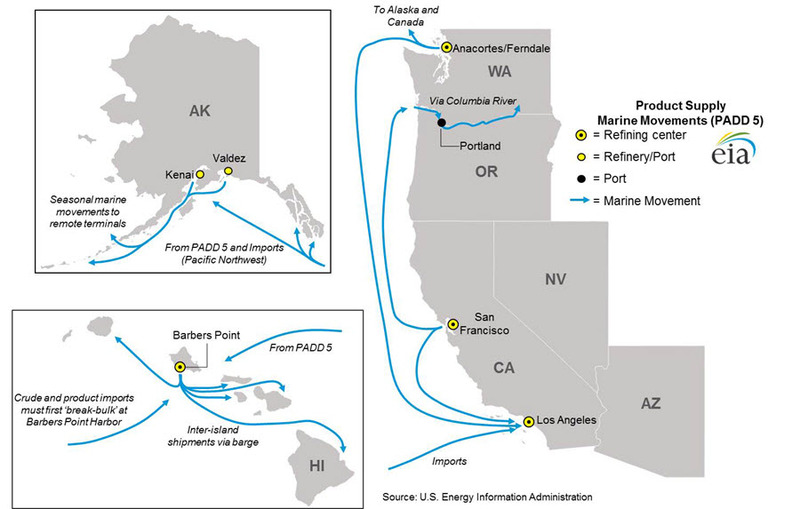 The study identified six distinct regional markets within PADD 5: Southern California and Southern Nevada; Northern California and Northern Nevada; Pacific Northwest, which includes Washington and Oregon; Arizona; Hawaii; and Alaska. For each of these regional markets as well as for PADD 5 as a whole, the study considers demand, supply, supply patterns, and distribution infrastructure, using 2013 as a base year and taking into account expected changes in balances and infrastructure in subsequent years. 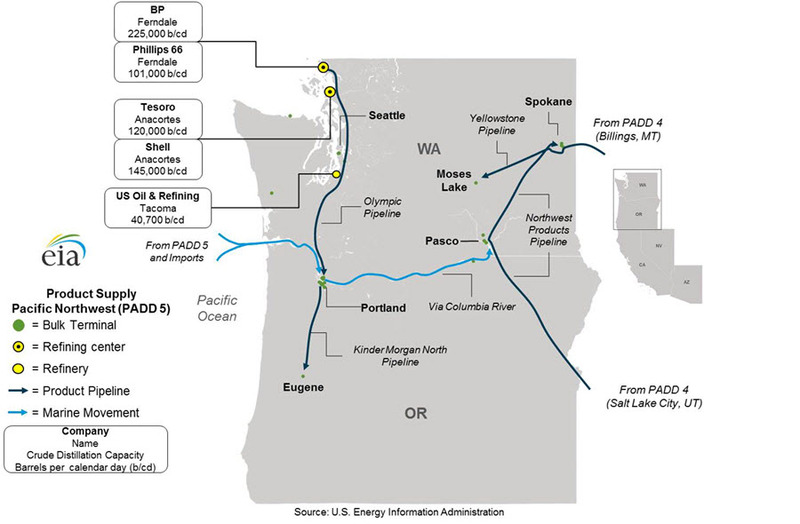 Demand includes in-region consumption, transfers of fuels to other parts of the United States (other PADDs) and to other regional markets within PADD 5, and exports to the global market. 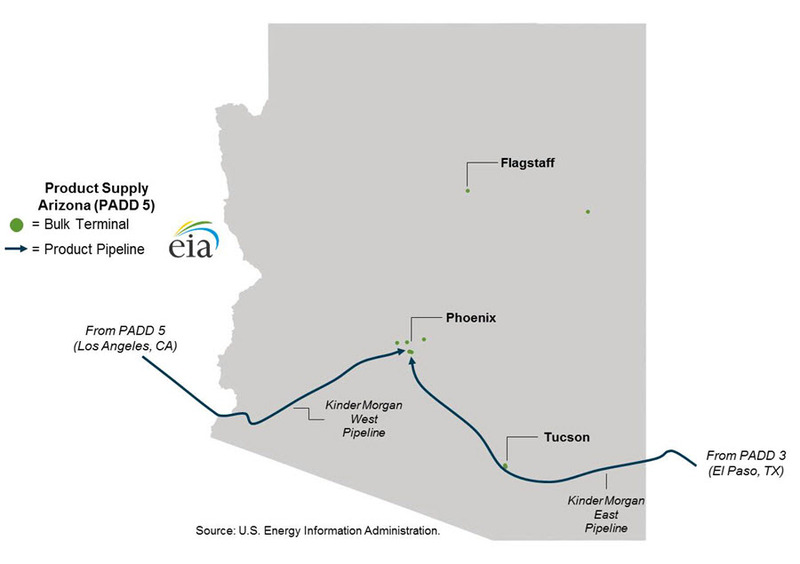 Supply includes in-region refinery production, receipts of fuels produced in other U.S. regions and other PADD 5 regional markets, and imports. 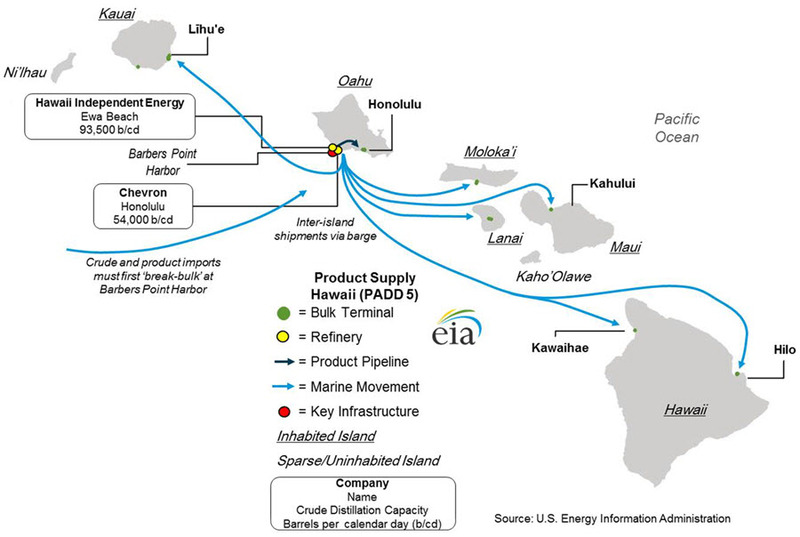 Distribution infrastructure includes storage terminals, pipelines, rail facilities, marine loading and unloading facilities, and marine vessel availability. 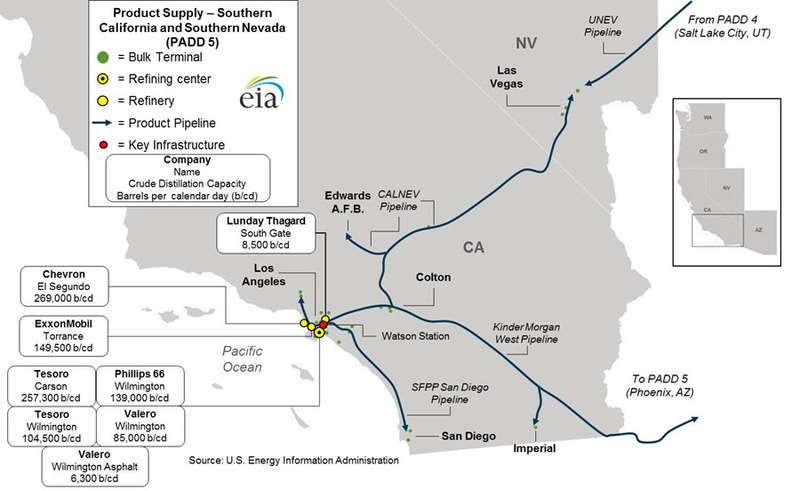 EIA retained Stillwater Associates, an Irvine, California-based transportation fuels consultant, to conduct the research and analysis for the PADD 5 study. 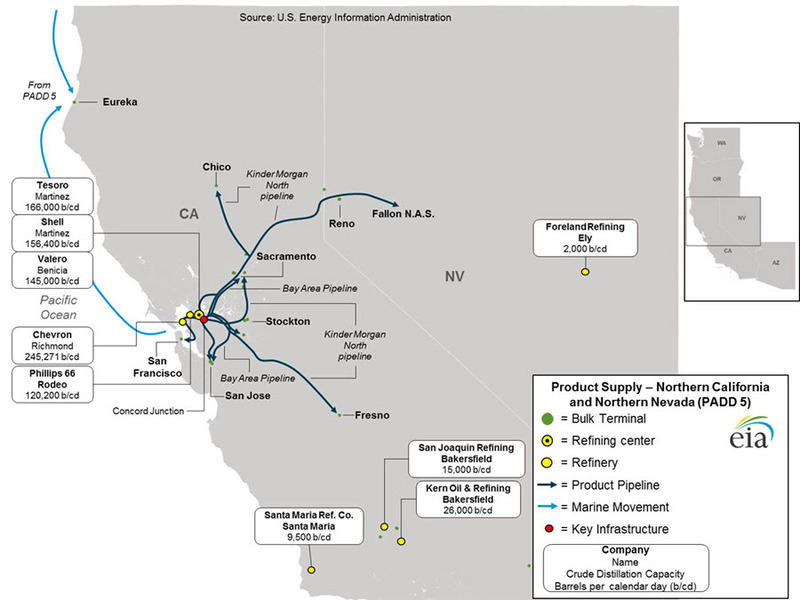 Stillwater analyzed data and information from the Energy Information Administration, the California Energy Commission (CEC), the Army Corps of Engineers Waterborne Commerce Statistics Center, and publicly available data from various sources. 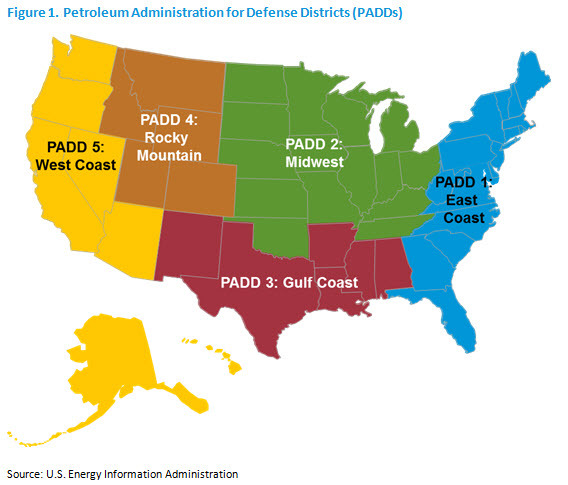 Additional studies are planned to analyze PADD 5 crude supply, PADD 1 (East Coast) and PADD 3 (Gulf Coast) transportation fuels markets, and PADD 2 (Midwest) and PADD 4 (Rocky Mountains) transportation fuels markets.